Programming & Job Openings Galore! Once again, another summer has flown by and soon festival season and all things pumpkin spice will be upon us. While my taste buds are ready for the new season, I am not mentally ready to say goodbye to summer and its laidback attitude. Alas, fall will be here before we know it, and it is always an exciting season for HandsOn NWNC. 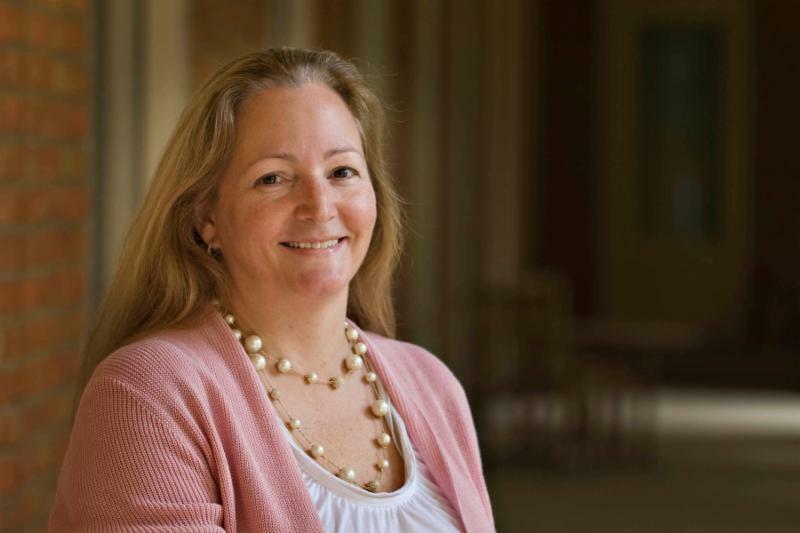 The first big event will be the return of our Executive Director, Amy Lytle, at the end of August! For those who do not know, Amy has been on a well-deserved sabbatical generously funded by the Z. Smith Reynolds Foundation since the end of May. I would be remiss to say that this sabbatical could not have successfully happened without HandsOn’s incredible staff. Kathy Davis and Brittney Albert have worked so hard to ensure HandsOn ran seamlessly while Amy was away. The board is beyond appreciative for the incredible work they have done this summer! Along with Amy’s return, HandsOn’s fall training season kicks off at the end of this month with the annual launch of its Women’s Emerging Leaders program followed by the launch of the Nonprofit Essentials series in September. There are still a few spots left for Nonprofit Essentials, so please contact staff if you are interested! Also for this fall, be sure to check out our training on Elevating Your Service Experience taking place on October 23 rd. This is an area that is easy to neglect with so many competing priorities and demands, but this training will help your organization ensure that quality customer service becomes and remains an integral part of your culture. Lastly, you will not want to miss an incredible opportunity to hear from Kivi Leroux Miller on November 8 th. 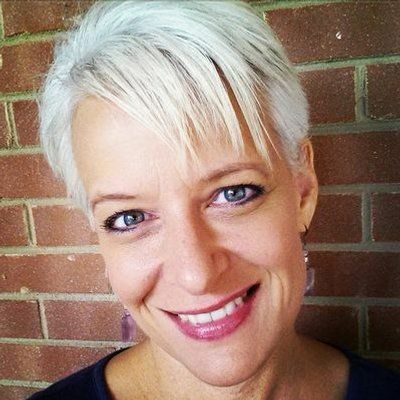 Ms. Miller is a marketing coach extraordinaire and will be talking about content repurposing and marketing your expertise. With so many exciting events around the corner, we are bound to see you at least once this fall. We look forward to seeing you soon! Earlier this year Novant Health Social Responsibility and HandsOn NWNC teamed up to engage employees at three different Novant Health locations in an exciting new volunteer project. The project involved creating “calm down” kits for students with anxiety and sensory disorders. Volunteers stuffed the kits with several items and activities, including flashcards, jigsaw puzzles, pipe cleaners, stress balls, and bubbles. HandsOn NWNC staff provided the materials needed for the kits and worked with Novant Health Social Responsibility staff to coordinate the three events. 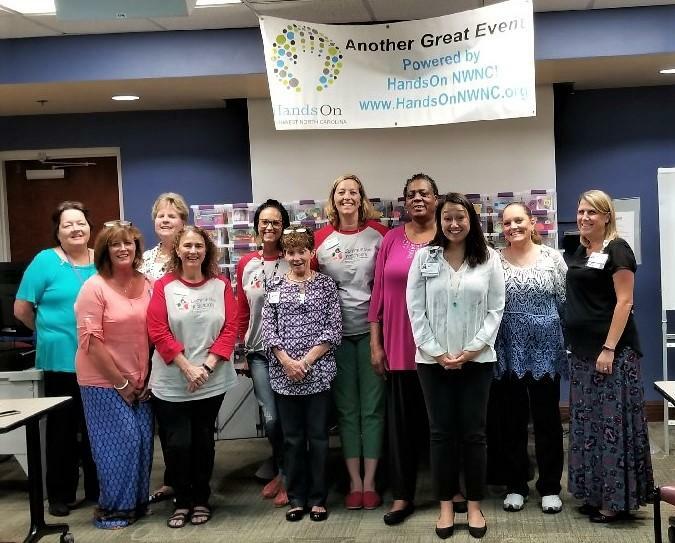 A total of 43 Novant Health team members at the Clemmons Medical Center and 31 team members at the Kernersville Medical Center assembled 450 kits during Health Care Week (May 7th-11th). HandsOn then delivered these kits to Forsyth Educator Partnership’s educator warehouse where Winston-Salem/Forsyth County teachers and counselors have been able to pick up the kits to use in their classrooms and offices. More recently, 52 team members at the Thomasville Medical Center assembled 192 kits that Communities in Schools of Thomasville and Communities in Schools of Lexington/Davidson County graciously agreed to distribute. Thanks to this partnership, a total of 126 Novant Health employees helped to make over 642 kits to provide a fun and safe activity for youth. 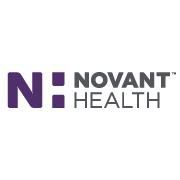 Our community is fortunate to have a local employer like Novant Health wanting to make a difference in the community, and HandsOn NWNC is grateful that the Novant Health Social Responsibility team chose us as a partner in this very important work. New Community Event Calendar for Supporting Partners! 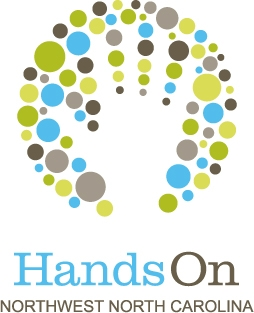 HandsOn is excited to offer an exciting new benefit to our Supporting Partners ! If your partnership is up to date (i.e. you have become a Supporting Partner or renewed your membership within the past year) you now have the ability to post your fundraising and community-wide events to the newly created Community Event Calendar on our website . If you are a current Supporting Partner of HandsOn NWNC, you will receive an email by next Friday, 8/31 , with instructions on how to access the calendar and a password. If you do not receive an email by 8/31, you either are not a Supporting Partner or your membership has lapsed. In this case, you may simply join the HandsOn family or renew your membership here . 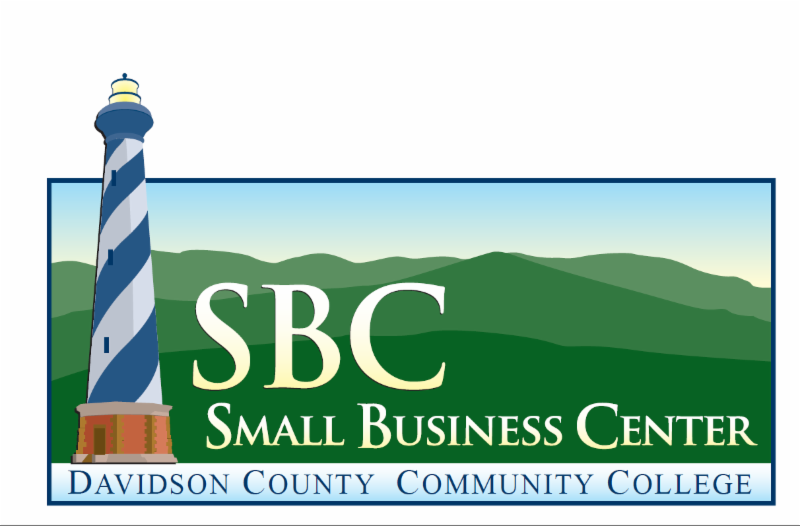 Upcoming Workshop in Davie County! Our partnership with United Way of Davie County and Davie and Davidson County Community College's Small Business Center Network is bringing an additional FREE workshop during the month of August to our partners for whom attendance at our Forsyth County location is a barrier. While registration is open to everyone within our network, priority will be given to those organizations serving Davie County. 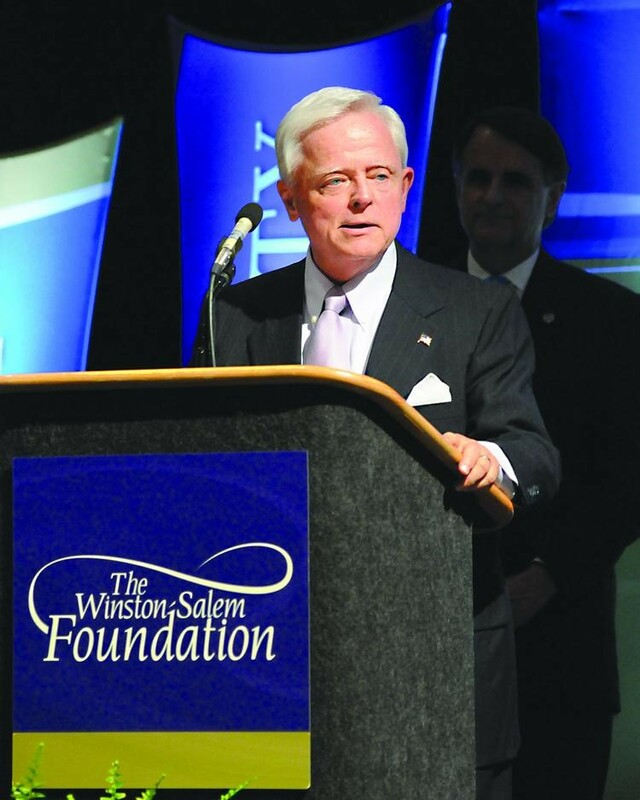 Register for the NC Center for Nonprofits' Annual Conference! This year's conference, Power Play: Disruption for Good, will be held September 12-14th at the Sheraton Imperial Hotel and Convention Center, Research Triangle Park. It will feature the exciting keynote speaker, Vu Le, Founder and Blogger at NonprofitAF.com and Executive Director of Ranier Valley Corps. Register and view rates here! Hurry, early bird registration ends July 20th! ABC of NC, a HandsOn Supporting Partner, is seeking a Volunteer/Internship Coordinator and Development Associate who will plan, coordinate, and direct the administration of the volunteer/internship program; assist with marketing and communication efforts; and provide administrative and programmatic support to the development office. View full job description and apply here. 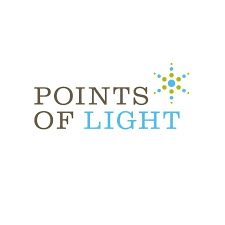 The Piedmont Environmental Alliance is seeking a part-time Marketing and Membership Coordinator to manage their digital marketing efforts and coordinate their growing membership program. The candidate must be an excellent writer and confident fundraiser, with an understanding of how to motivate people to take action. View full job description here. To apply, submit a detailed cover letter and your resume to info@peanc.org. Deadline to apply is August 31st. No phone calls please. ﻿ Last week, the NC Center for Nonprofits sent a written questionnaire to all North Carolina candidates for Congress, the state Senate, and the state House of Representatives asking about their experience working and volunteering with nonprofits, their policy priorities, and their positions on some key policy issues affecting nonprofits. As a 501(c)(3) nonprofit, the Center will not endorse any candidates based on their responses, but it hopes that a high percentage of candidates will respond so that nonprofit staff, board members, volunteers, and clients can use these questionnaires to help make informed decisions on Election Day. You can help make this a useful voter education tool for yourself and others in your community by encouraging candidates in your area (and particularly anyone you know personally) to take a few minutes to complete the short questionnaire and submit it online, by email, or by mail. Next month, the Center will share all (unedited) responses it receives from candidates.